We call them “SUN cats” for short! These are the cats that tend to be overlooked and often live out their lives in shelters and rescue organizations. They may simply have an aversion to being placed in a carrier or being shown at adoption events… so people never get to see them! Listen to our radio advertisements to learn more! We want to change the public’s perception of this special group of kitties and we are counting on your help. These cats deserve loving homes. If you can’t adopt, you can still help by donating! 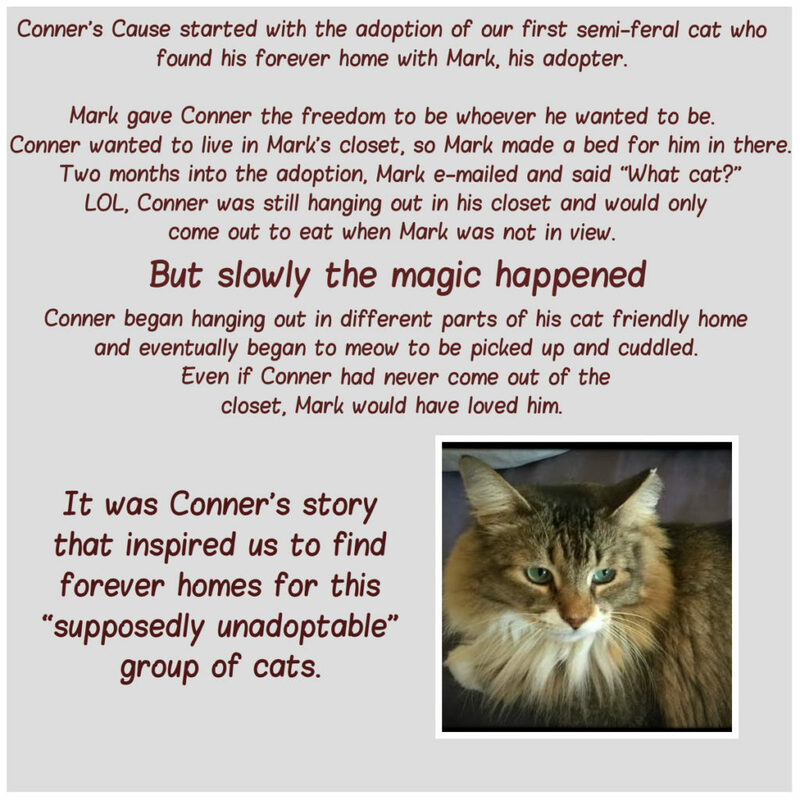 CONNER’S CAUSE FOR SUPPOSEDLY UNADOPTABLE CATS is an initiative that Give Me Shelter Project, Inc has launched to try to find loving homes for the SUN cats that currently reside in animal shelters and with rescue groups. 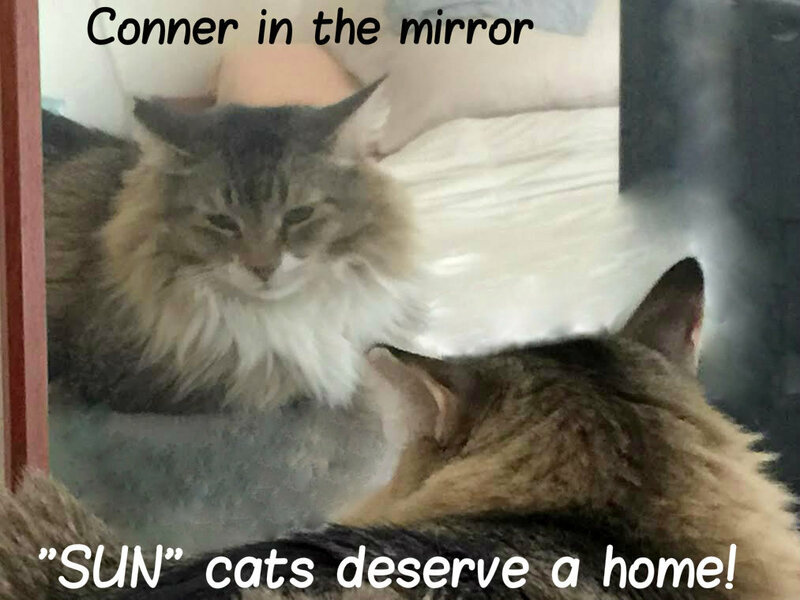 There are many cats like Conner who are painfully shy and reserved. You may not “see” them eat or use the litter. In fact, when you first bring them to your home, you may not see them at all. They will likely find a hiding place and stay there for a while. You notice them peeking out from their hiding spot, curious to see what’s going on. You see them in the litter box or eating some food. Maybe they start to explore or hang out in the same room as you. Little by little, they get comfortable with their surroundings (and you) and they are home. 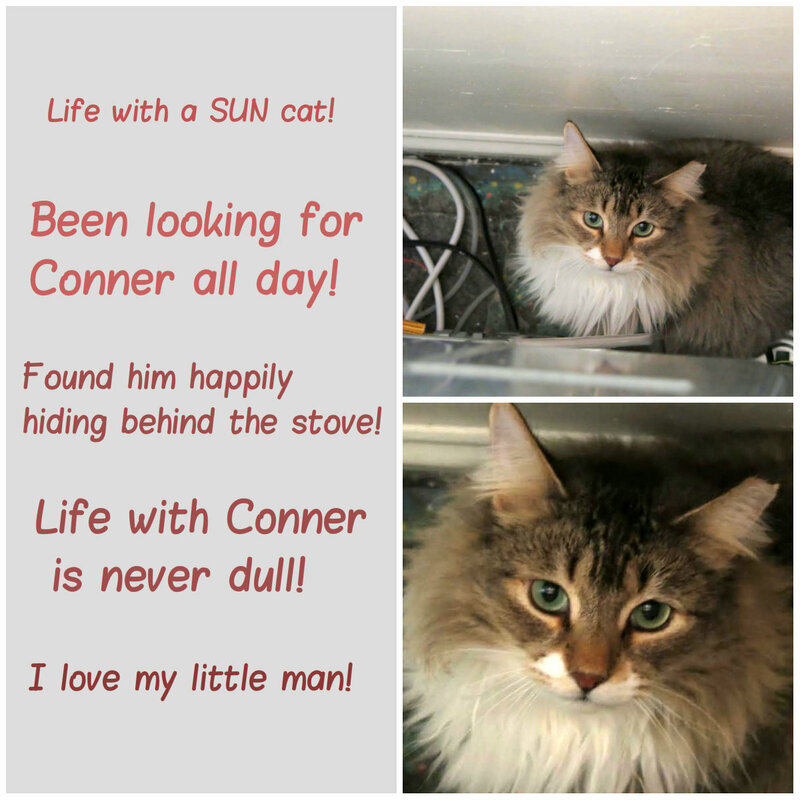 Who are the purrfect adopters for semi-feral cats like Conner? People who are not at home a lot: There are many who say that they would love to have a cat (and miss having one) but feel it would be unfair to the animal because they work long hours and are not home enough. We want to offer an alternative viewpoint and suggest that working long hours is only a disservice to cats who crave attention and affection. Our recommendation would be that they adopt two SUN cats. The adopter will have company when they come home from work/ the cats will have each other/ these cats will not be missing their human while they are out of the house/ the adopter will be saving lives. 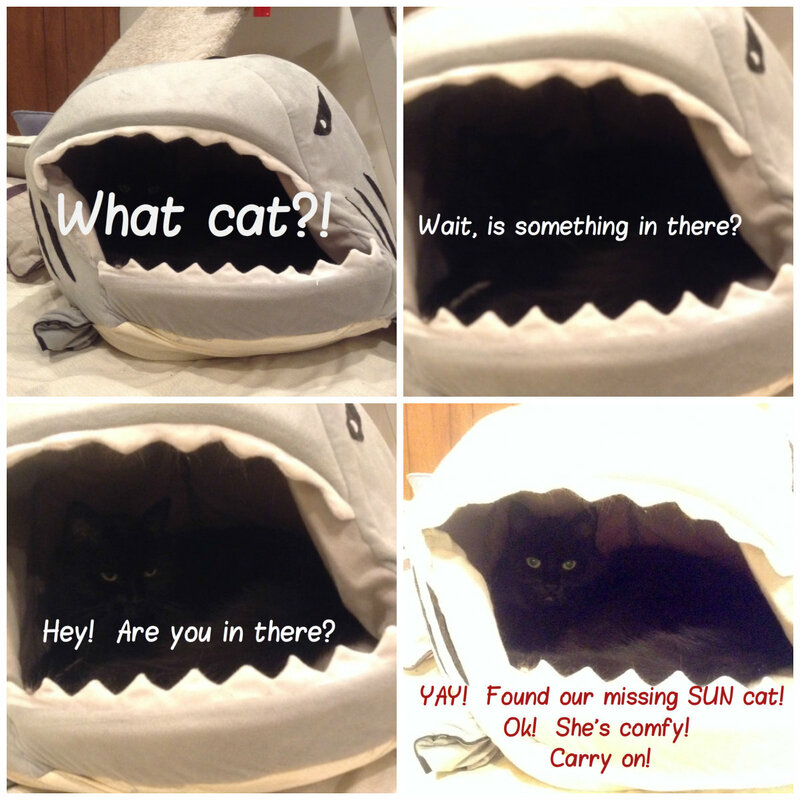 People who want their single cat to have a companion: Many people feel that their existing cat needs the company of another cat. Our recommendation is to adopt a SUN cat as the playmate for the existing cat. Since the human already has an affectionate cat, he/she won’t need affection from the SUN cat. Anyone who loves being in the presence of animals, but is simply too busy to give a lot of attention and care. It’s wonderful to come home after a day of work and have these guys to talk to. They listen and they are non-judgmental. They are truly low maintenance companions and especially awesome to adopt in pairs. These cats often thrive on the companionship of other cats. When you go to a shelter to adopt… please spend time looking at the ones that live at the rear of the cage. The ones that shrink back when you approach. These are the ones often overlooked and they can remain at shelters for years while they wait for their forever home. These are supposedly unadoptable. Note: We are available to guide you in integrating ferals, semi ferals and semi friendly cats into your home and your life. **We gratefully thank Maddie’s Fund for supporting this Conner’s Cause Initiative. **We plan to limit the initial “roll out” of this project to the cats in our organization and one or two affiliated groups. If successful, then we will look into grants and seek fundraising opportunities in order to expand our reach and invite more groups to participate from a wider geographic area.